Some of our templates come with access to our layout builder, where you can drag and drop layout modules to create your desired layout. 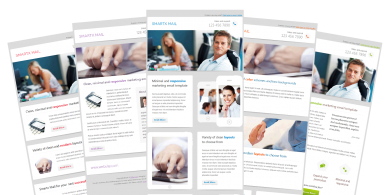 Whether you are looking for specific or multipurpose email template, Gifky.com provides variety of pre-made email templates that can suit your business. 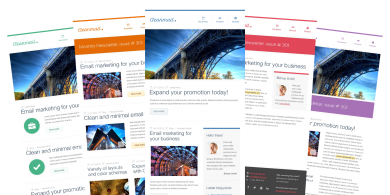 Order custom email template designed to match your website design or choose any from our pre-made templates to be customized to match your website. 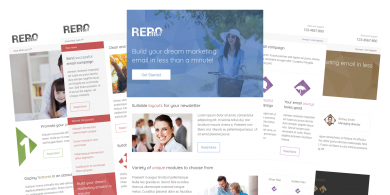 Repo Mail is a responsive email template with multiple layouts which fit wide range of marketing, newsletter, and e-commerce usage. Plus you get the access to the layout builder where you can build custom layouts and color schemes. Postin Mail is a responsive email template coming in multiple layouts which fit wide range of marketing and e-commerce usage. Plus you get the access to the layout builder where you can build custom layout and color scheme. Idea Mail is minimal & responsive email template for professional and personal usage. It comes in 7 color schemes, 5 layouts each, and 2 backgrounds for each color to choose from (light and dark background). 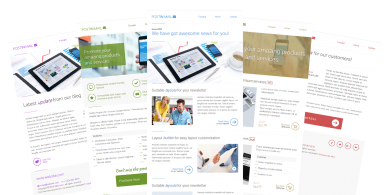 Clean & responsive email template for professional and personal usage. It comes in 6 color themes, 6 layouts each, and 2 backgrounds for each color to choose from. 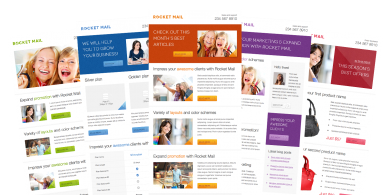 Rocket Mail is clean, colorful and modern email template for professional and personal usage. It comes in 6 color themes, 6 layouts each, and 2 backgrounds for each color to choose from (light and dark background). 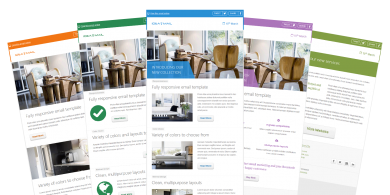 60 Minimal email templates for professional and personal usage, comes in 5 layouts, 6 color schemes and 2 background versions. Copyright © 2011-2019 Gifky.com, all rights reserved.